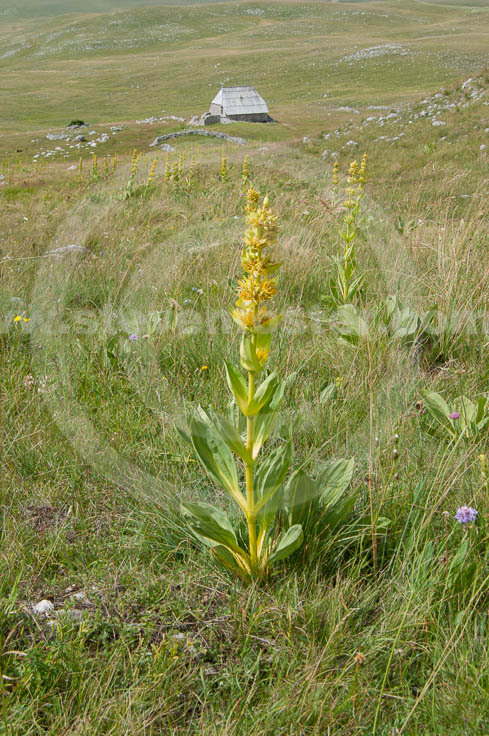 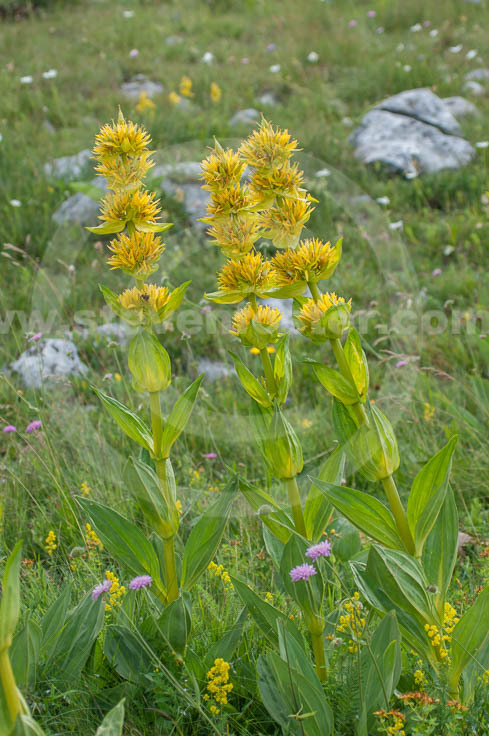 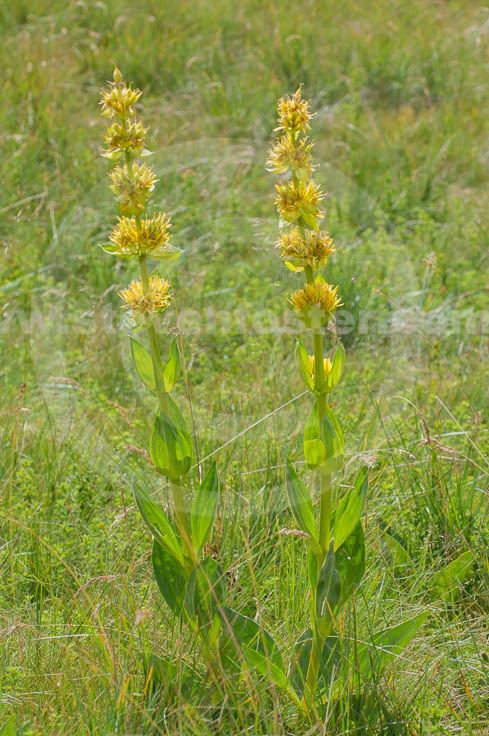 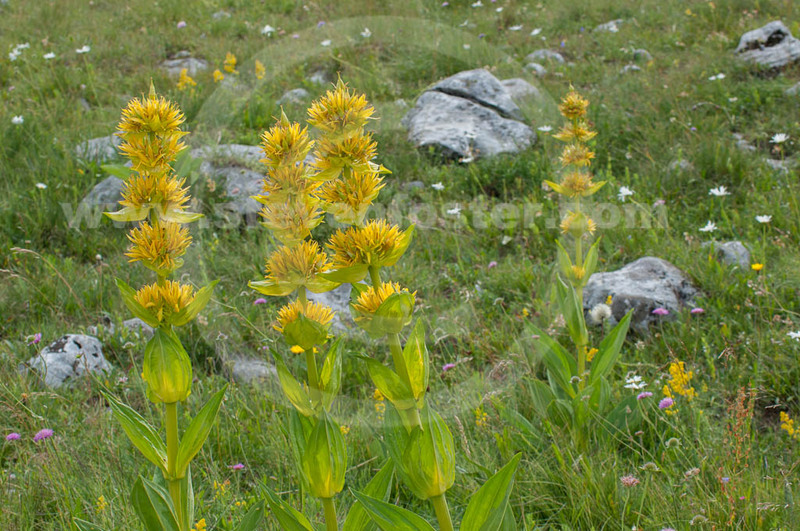 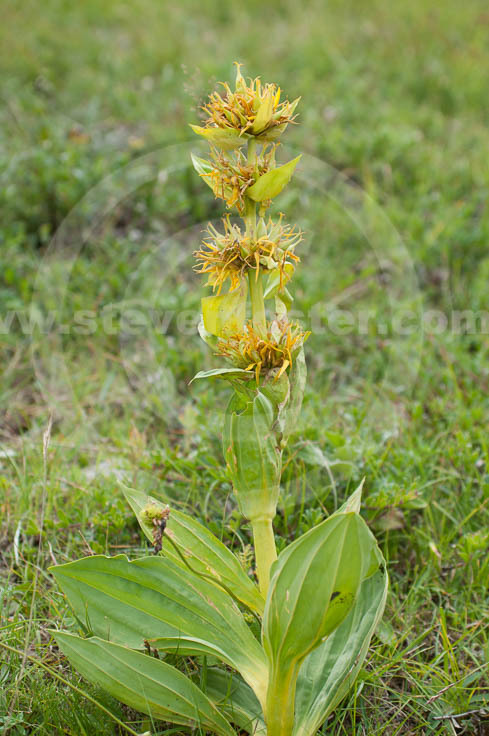 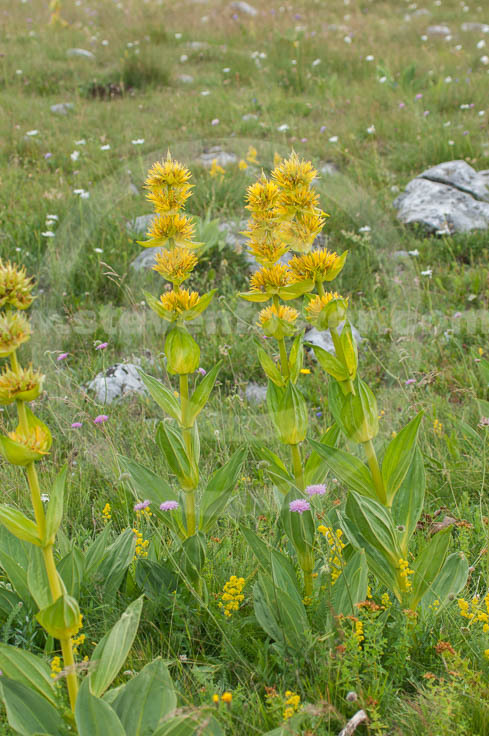 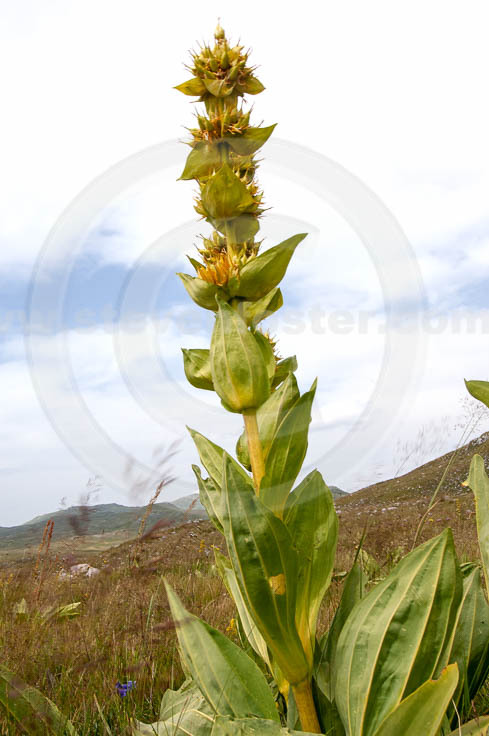 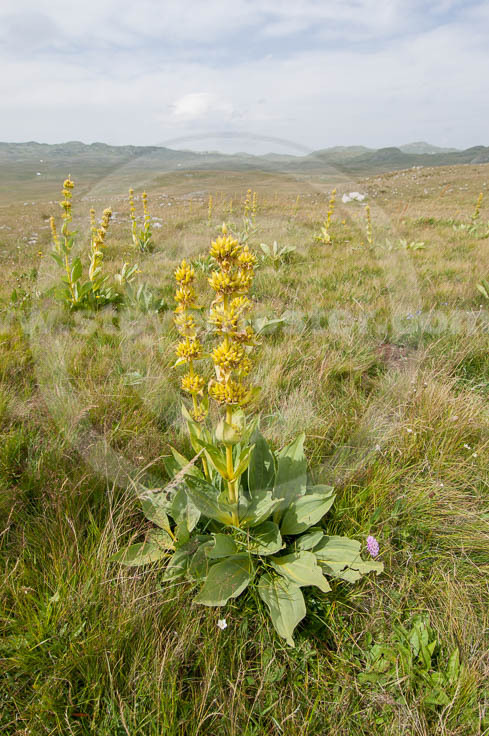 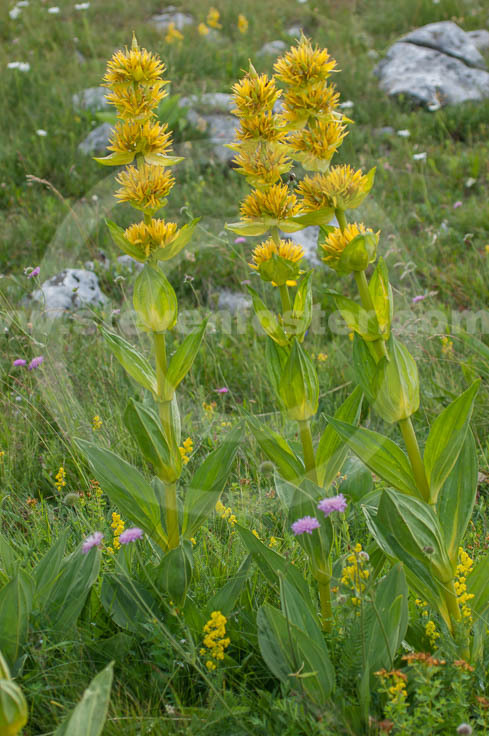 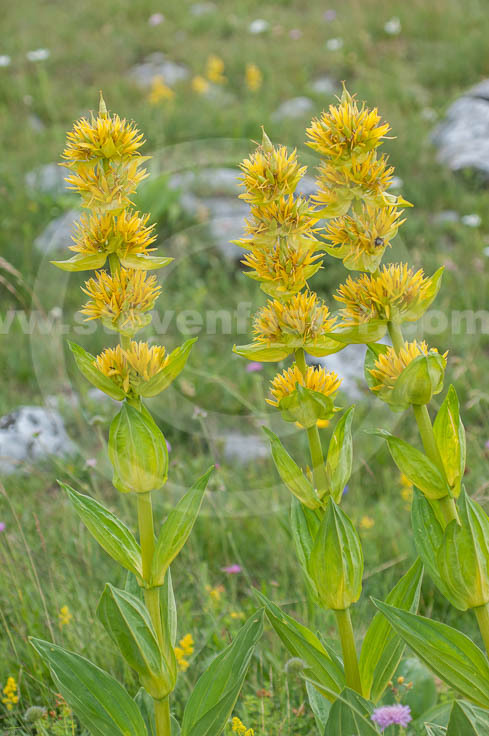 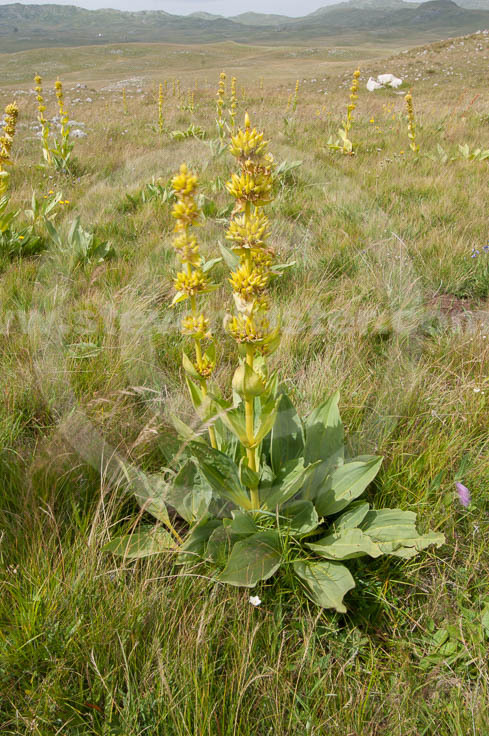 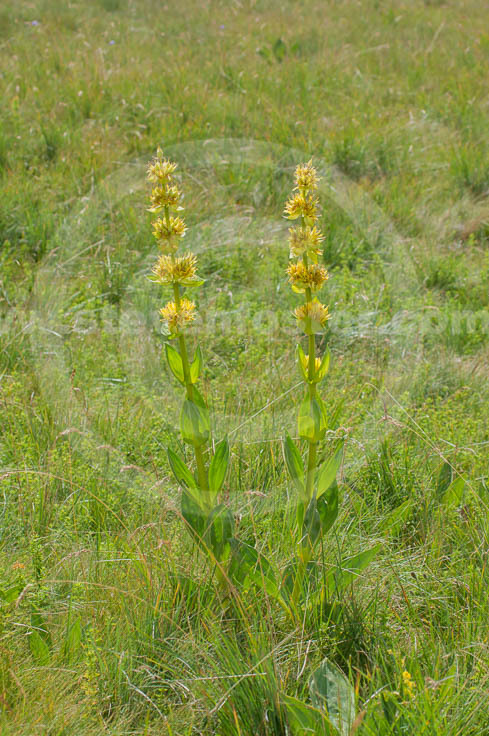 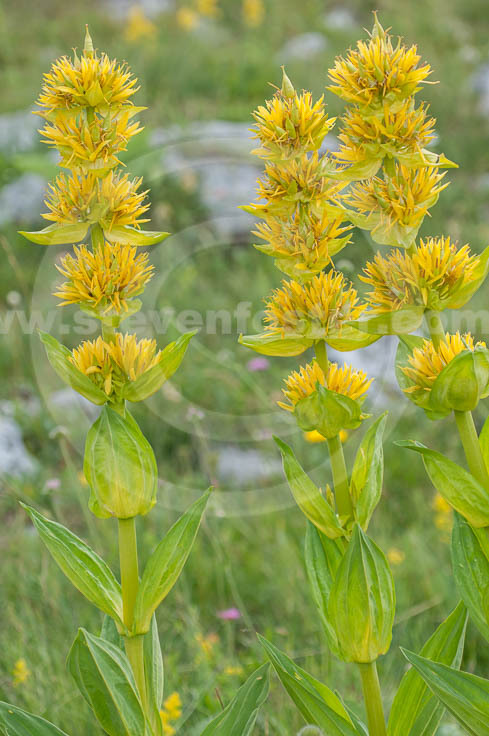 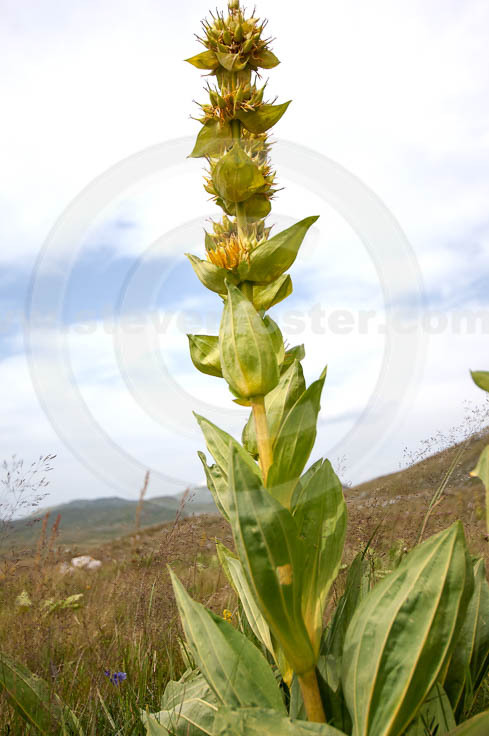 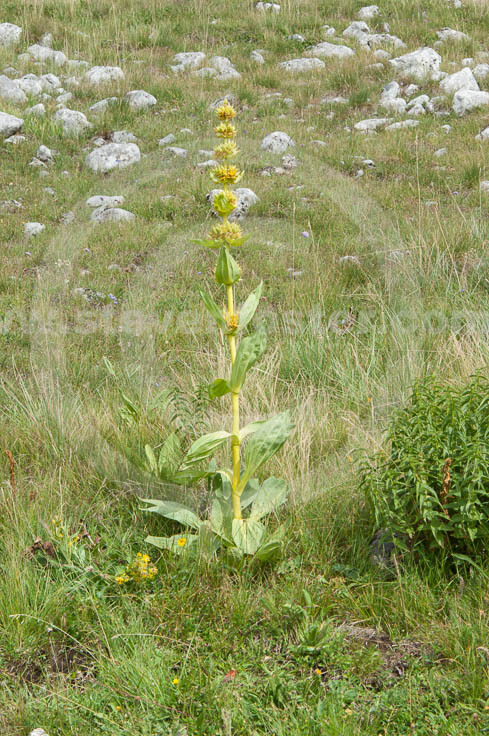 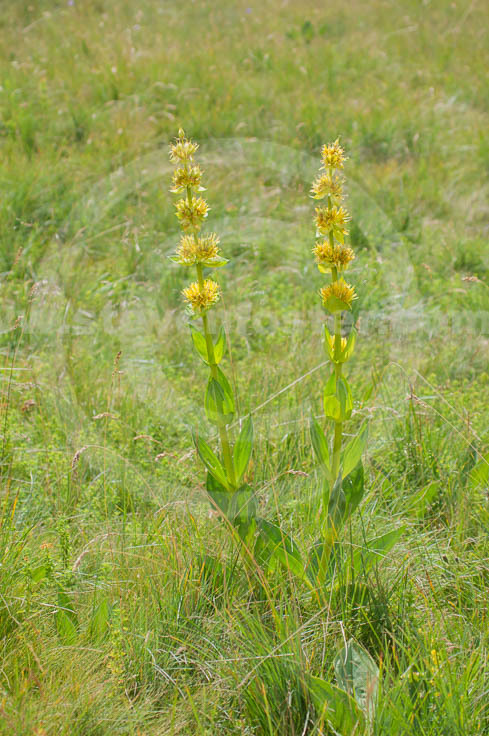 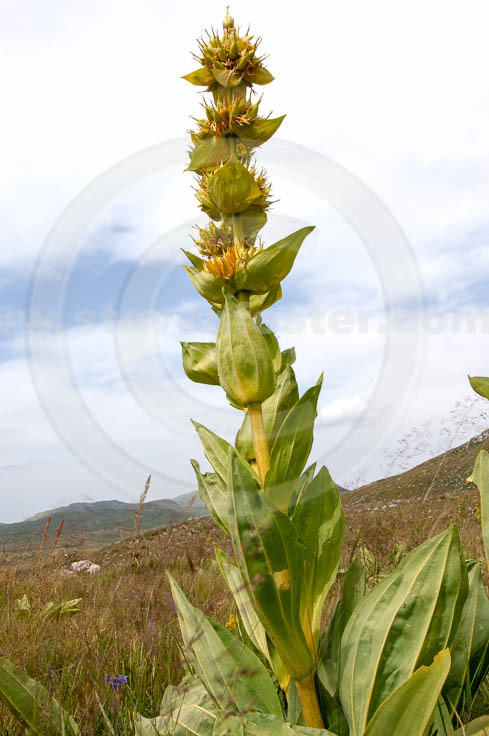 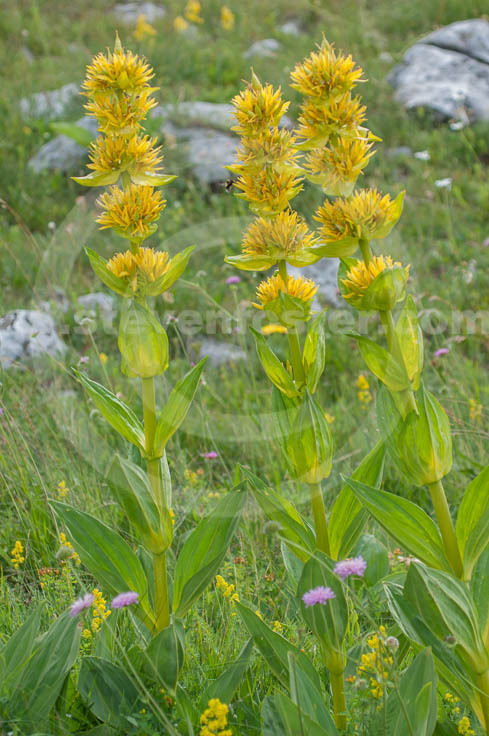 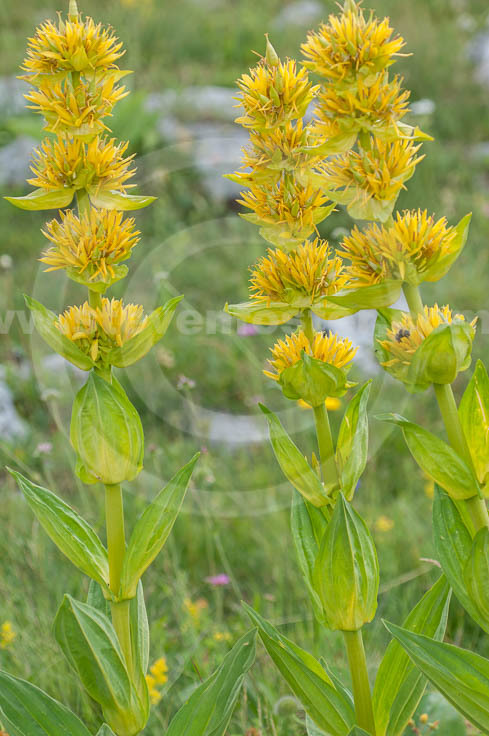 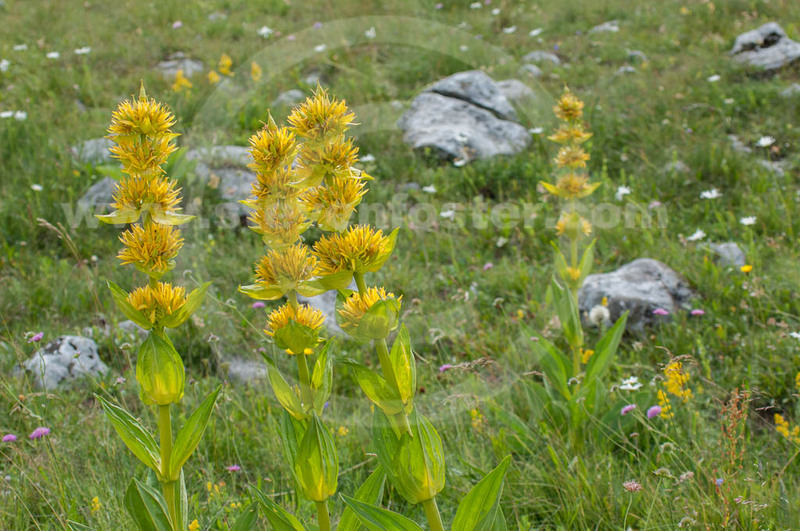 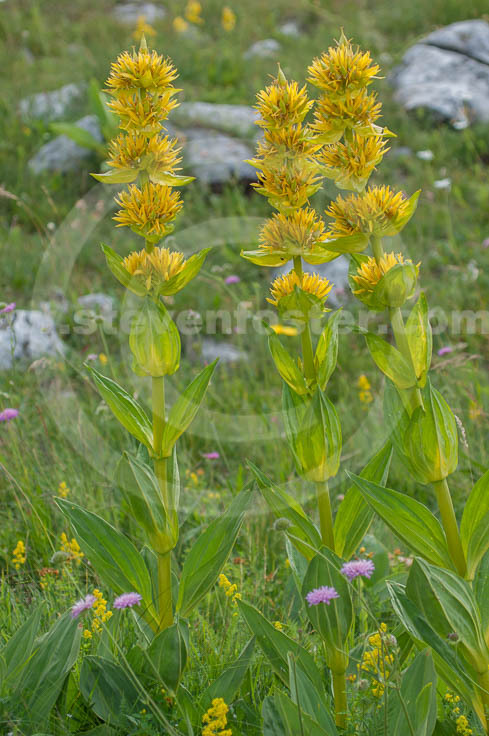 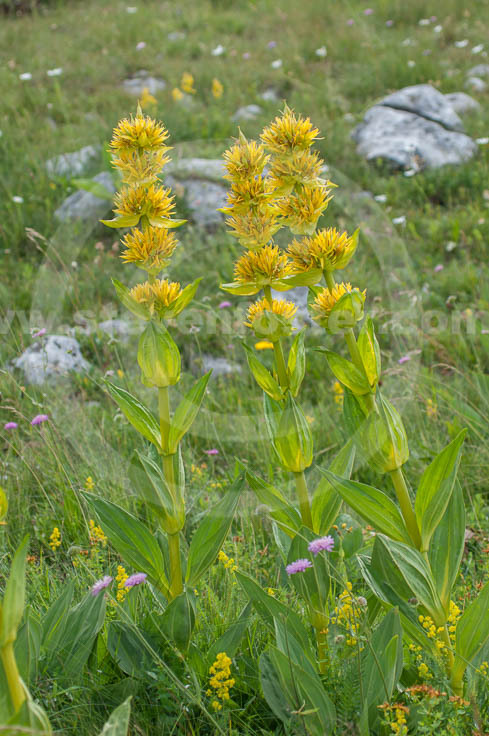 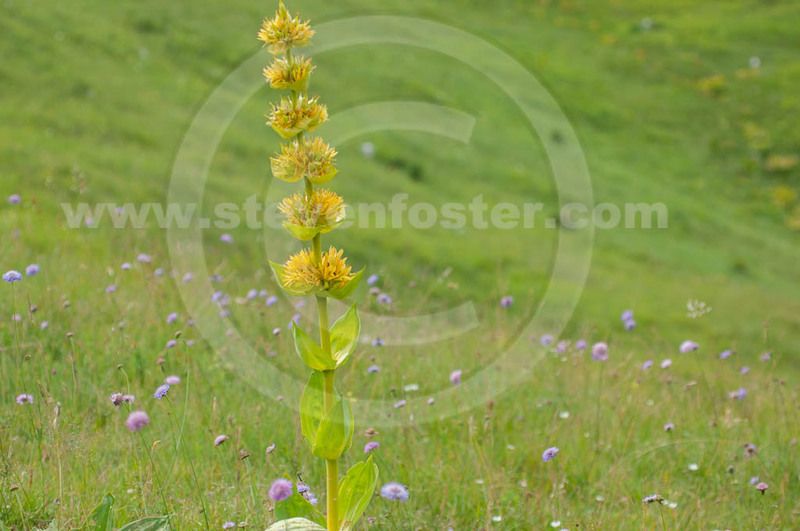 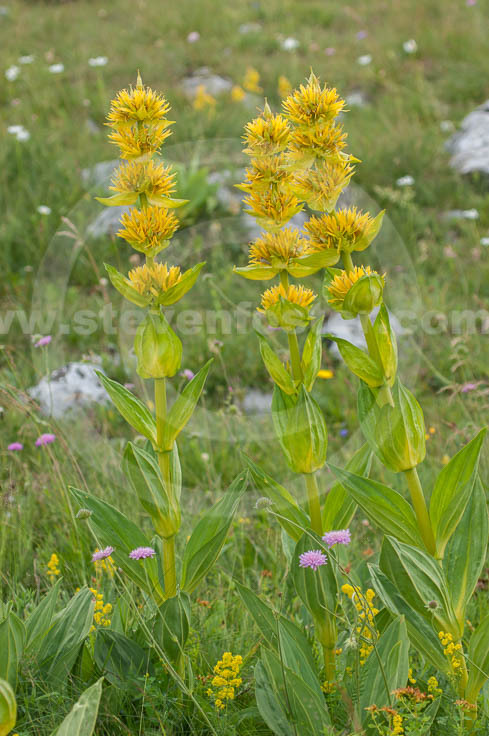 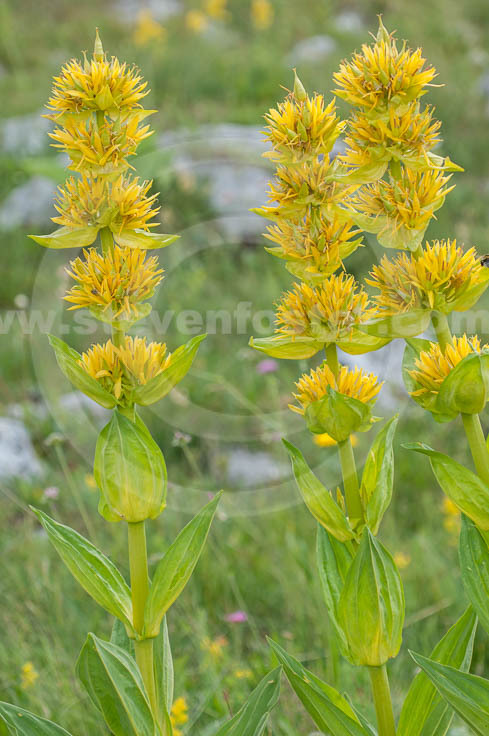 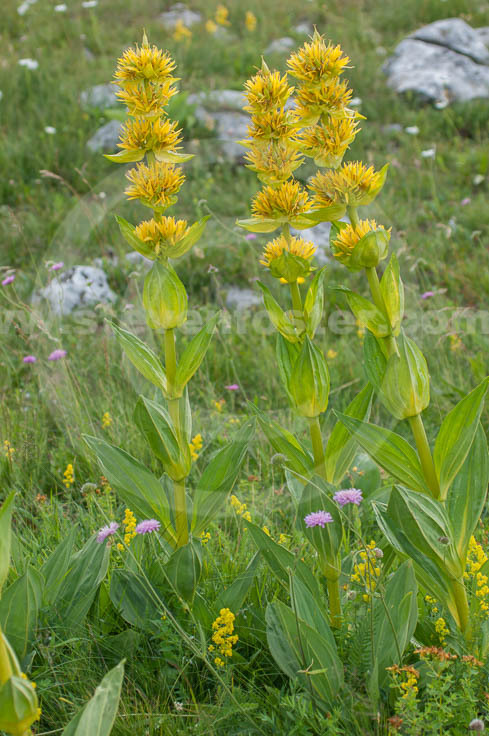 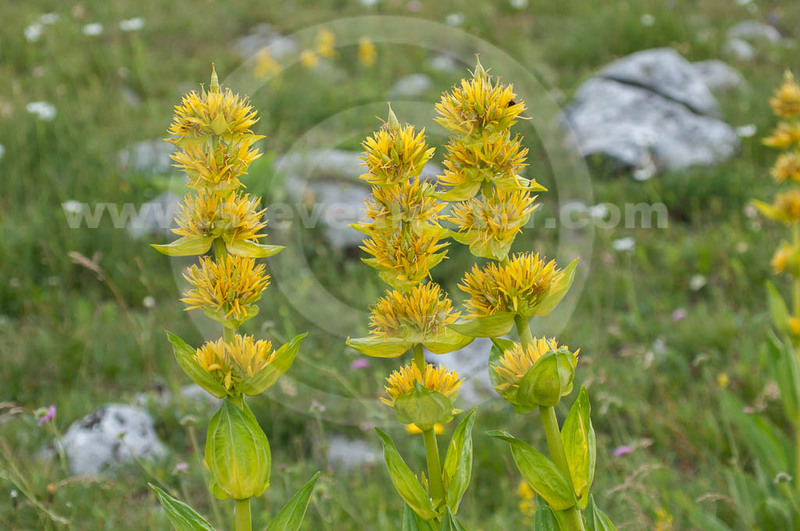 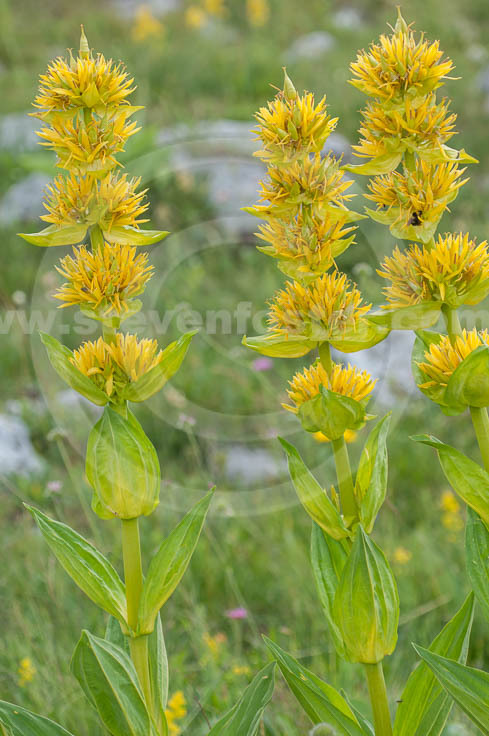 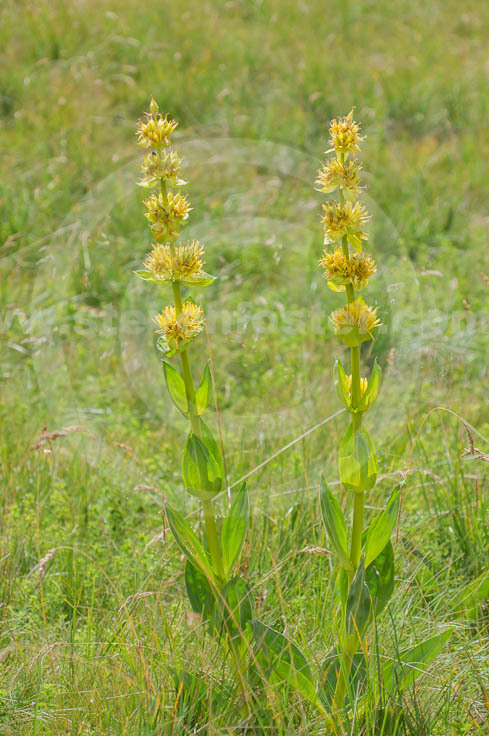 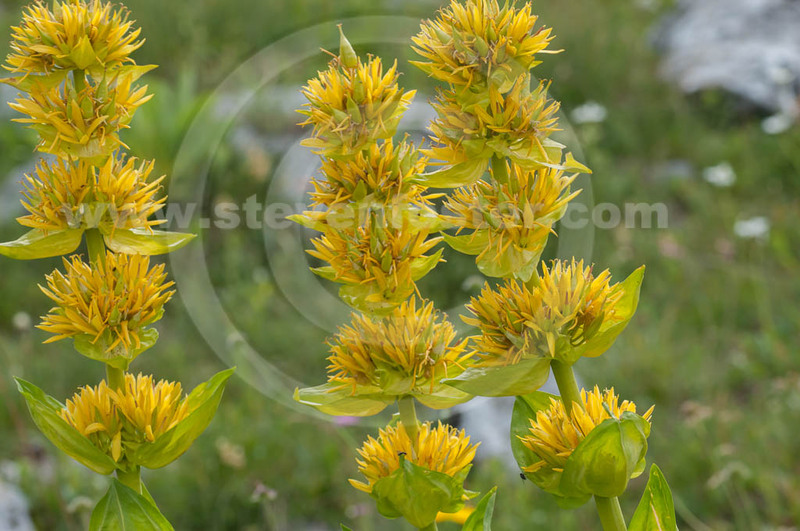 Photos of Gentiana lutea subsp. 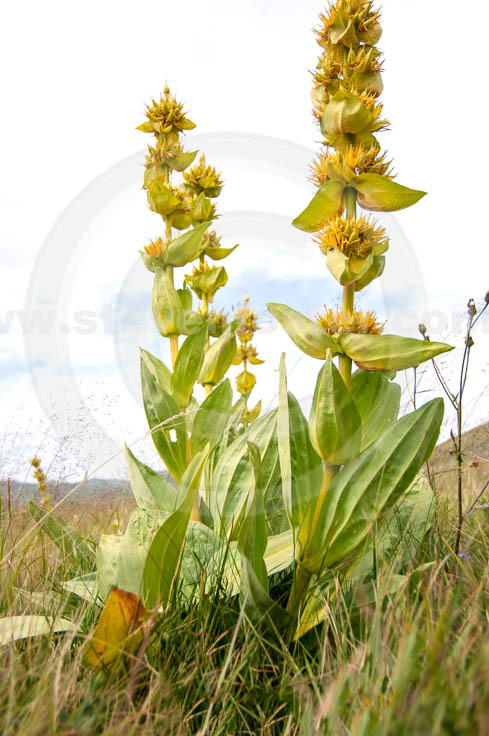 symphyandra, Gentian, Yellow Gentian, Gentian root. 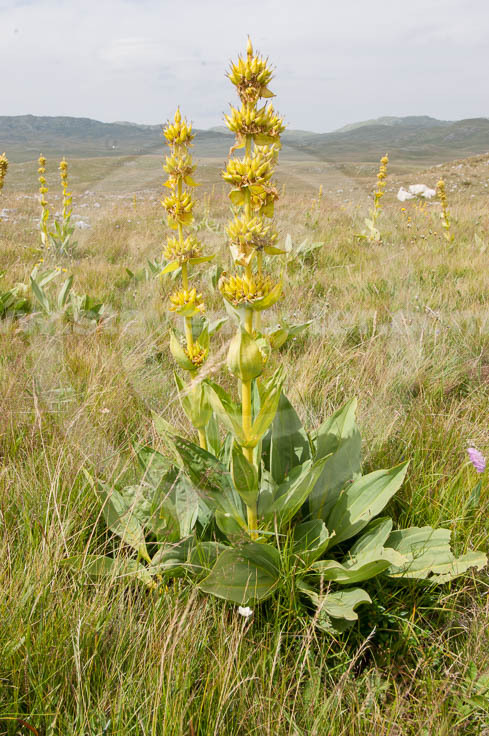 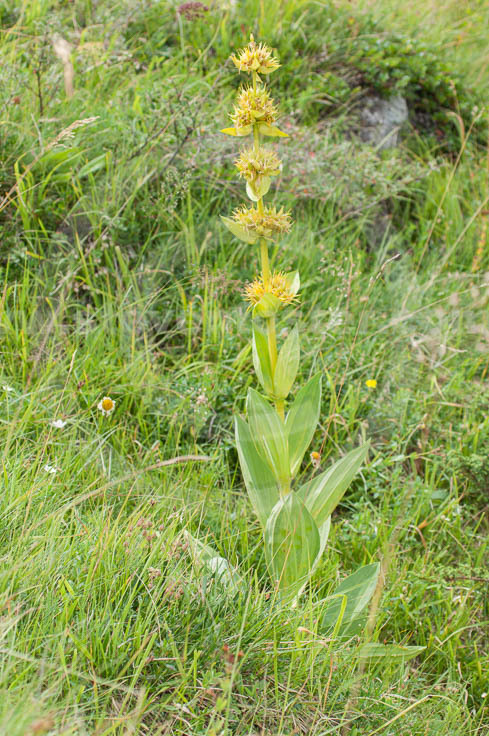 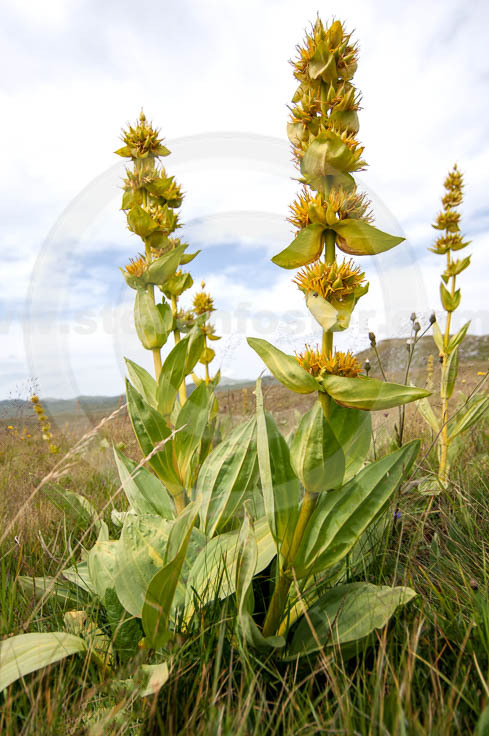 Gentiana lutea subsp. 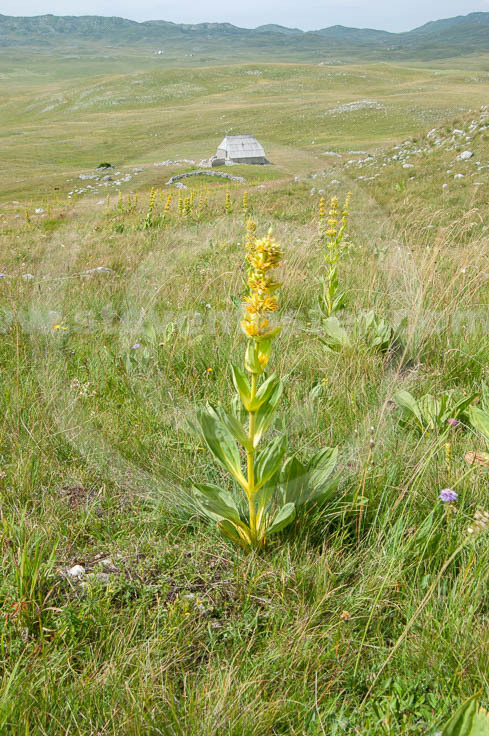 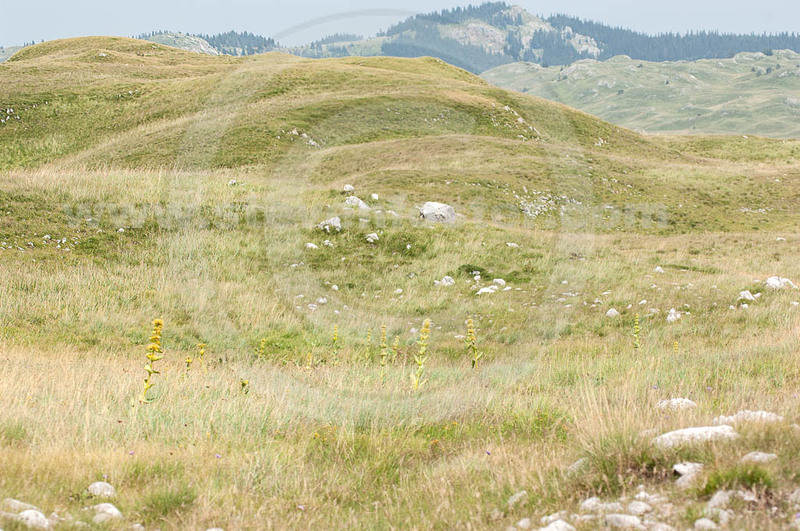 symphyandra, Gentian on the high mountain plains of the Mt. 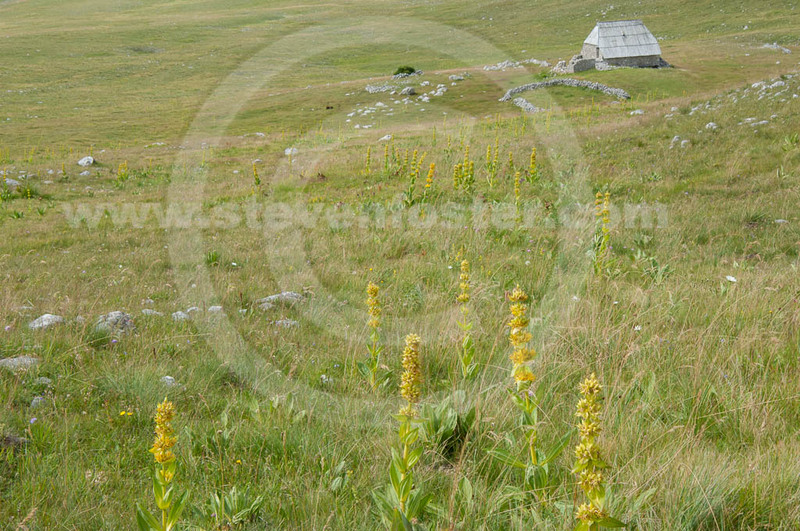 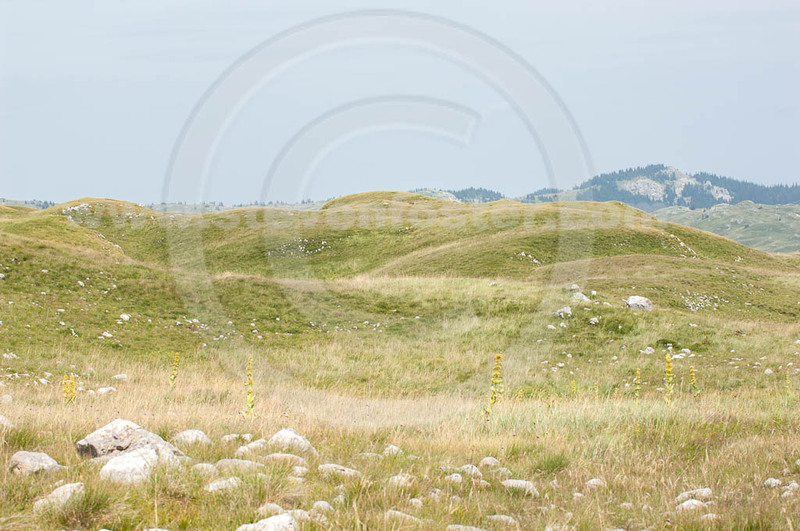 Sinjajevina (Sinjavina) massif (40 km long and 15 km wide, averaging about 1,600m high) in Montenegro. 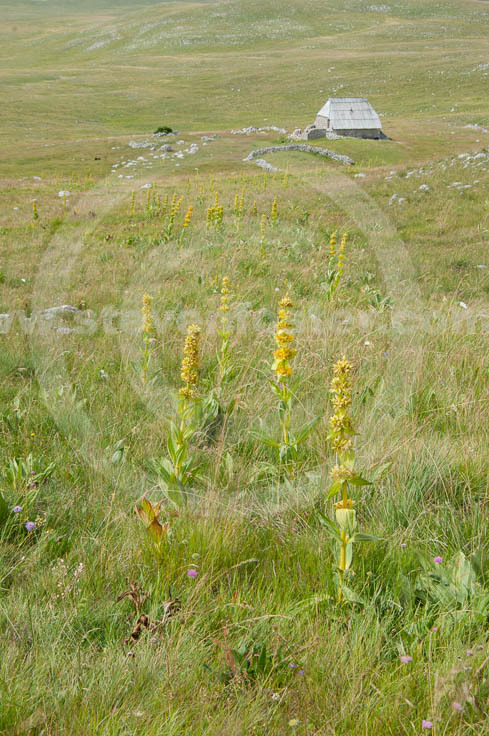 These wild plants are protected by seasonal shepherds whom mow around the plants with hand scythes, allowing plants to go to seed to increase populations. 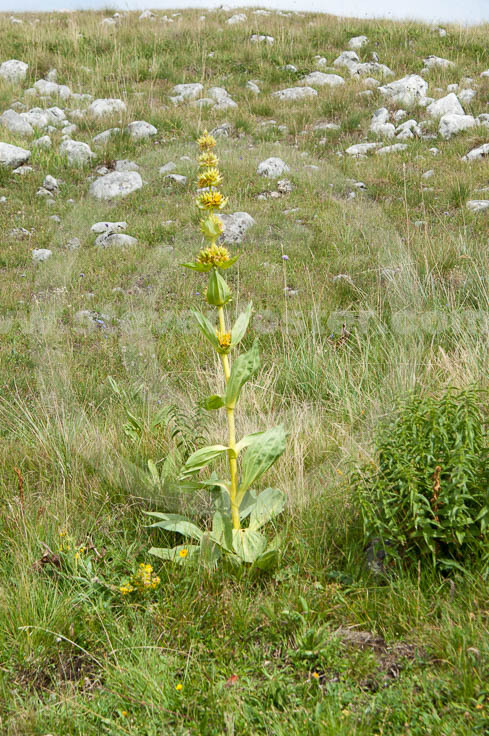 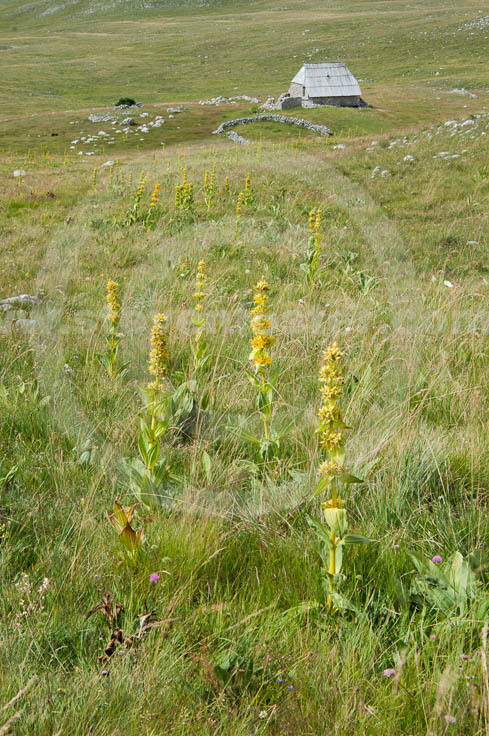 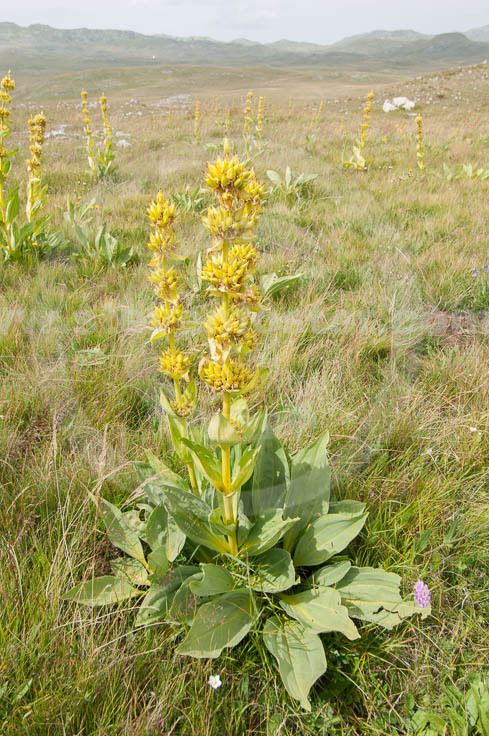 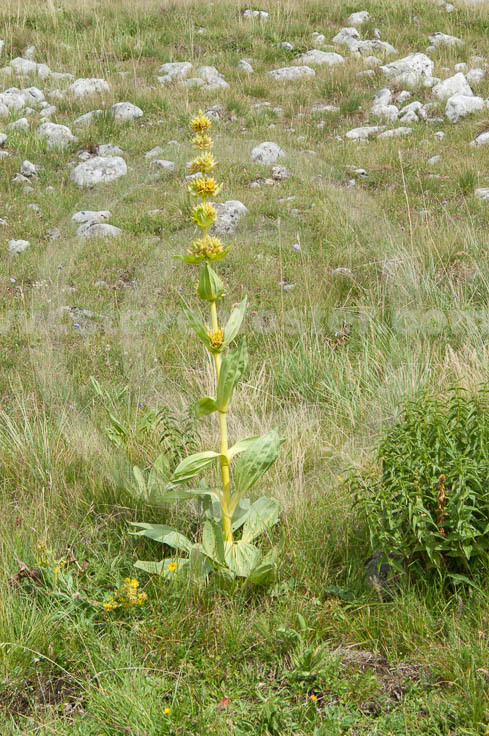 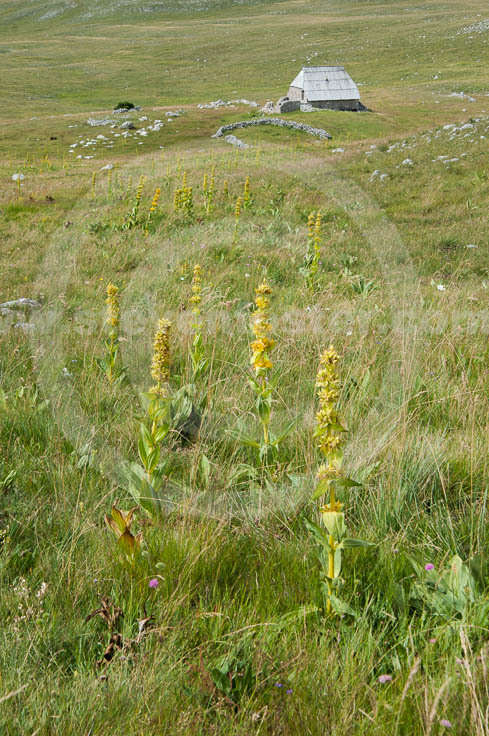 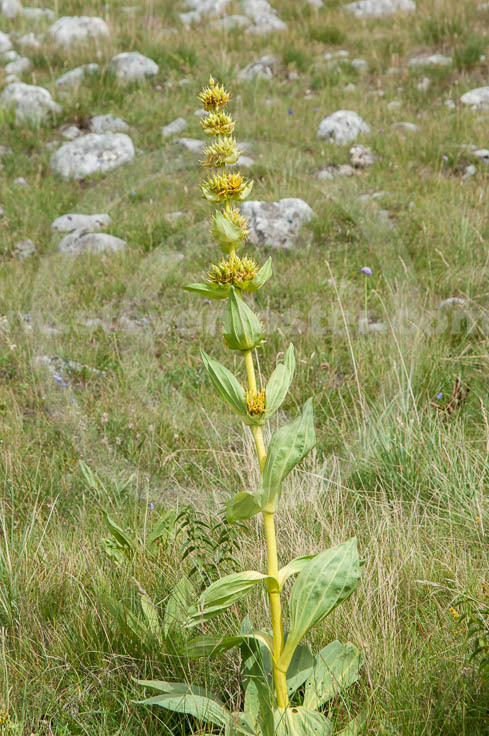 Gentian root is the classic alpine bitter. The root is extremely bitter and stimulates the taste buds and brain reflexes to promote secretion of gastric juices and saliva. 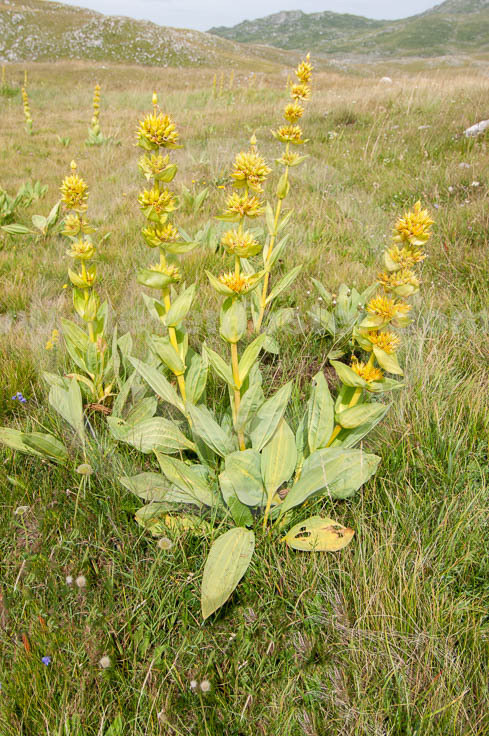 The active components are glycosides, including gentiopicroside (up to 4 percent of dried root weight; also known as gentiopicrin) and a related compound amarogentin (up to 0.4 percent), one of the most bitter compounds known, 5000 times more bitter than gentiopicroside. 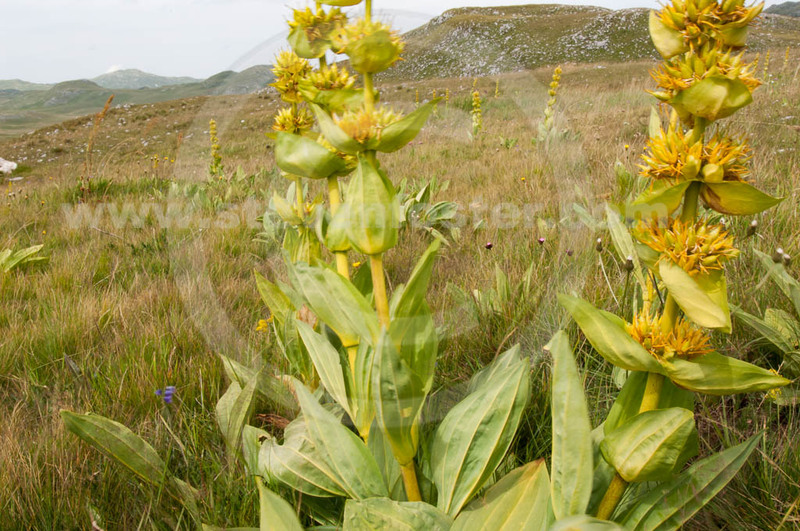 Harvest of wild plants is controlled, with varying success, in Europe due to conservation concerns. 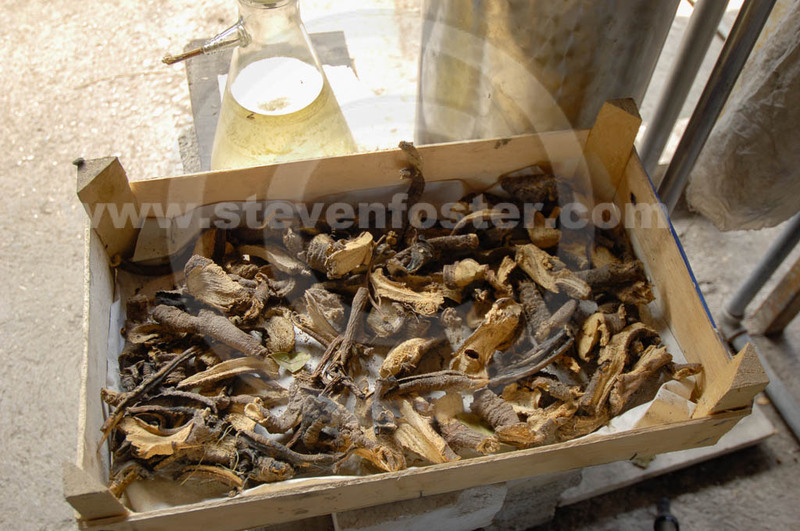 Still, an estimated 1,500 tons reach world markets each year.